Galina Gabriely performed her undergraduate studies in the Department of Immunology at Tel-Aviv University in 1996, by studying a putative tumor suppressor protein, PP2C-alpha. She received her Ph.D. degree from the Weizmann Institute of Science in 2006 where she investigated the mechanisms of intracellular protein transport in the lab of Dr. Jeffrey Gerst (Gabriely et al., MCB, 2007; Gabriely et al., MBC, 2008). 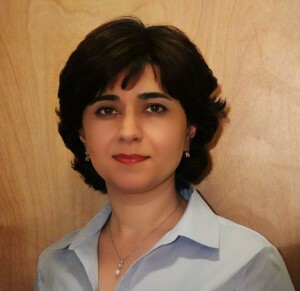 Then, supported by the American Brain Tumor Association Basic Research Fellowship, Dr. Gabriely performed her postdoctoral studies in the lab of Dr. Anna M. Krichevsky at Brigham and Women’s Hospital to study the functions of newly discovered molecules, microRNAs, in the most malignant brain tumor and currently incurable cancer, glioblastoma. During these studies, she investigated the mechanisms of oncogenic function of miR-21 and miR-10b in glioblastoma (Gabriely et al., MCB, 2008; Gabriely et al., Cancer Research, 2011). Then, driven by the success of immunotherapeutics against cancer, Dr. Gabriely joined the lab of Dr. Howard L. Weiner to identify therapeutic targets and develop approaches to overcome immune suppression in glioma pathogenesis. Supported by a carrier development grant from the Brain Science Foundation, Dr. Gabriely was particularly interested in investigating the contribution of macrophages and microglia to gliomagenesis and the role of microRNAs in this process. In addition, Dr. Gabriely explored the therapeutic effects of anti-latency-associated peptide (LAP) antibodies against glioblastoma, colorectal cancer and melanoma (Gabriely et al., Science Immunol., 2017). During these studies, she found that antibodies to LAP decrease CD103+ CD8 T cells in lymphoid organs and these cells promote tumor growth. Currently, Dr. Gabriely is investigating the role of CD103+ CD8 T cells in tumor-associated immune suppression and whether targeting these cells has therapeutic value in cancer.